One of our favorite quotes in the competitive analysis industry reads “Only a fool learns from his mistakes. The wise man learns from the mistakes of others.” In other words, why waste time on what’s NOT working when your competitors can give you that information for free? Landing Page Optimization is a subject matter we’re intimately familiar with, yet we still cringe each time we see companies making the same mistakes over and over again. I’m going to let you in on a little secret about building the highest converting landing page in your industry, you don’t need to start from scratch. In fact, it will cost you dearly if you do. Instead, why not evaluate the exact landing page your competitors’ are using for each one of their AdWords campaigns. 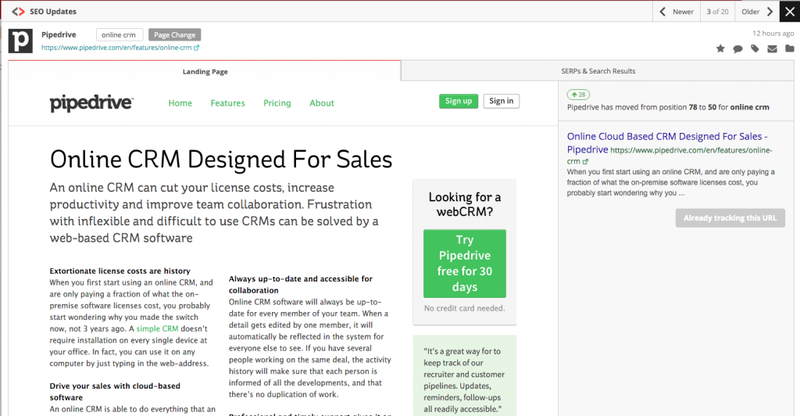 Kompyte tracks their landing pages and their A/B testing results! Landing Page Optimization is one area of online selling where tracking your competition leads to a clear and quantifiable result: MORE SALES. You don’t do business in a vacuum. As much as you’d like to ignore the competition and focus on your product, your customers are researching all of their alternatives before making a buying decision. If a direct competitor makes a change to the pricing plans, you should be the first one to know about it so you can react accordingly. Any delay could mean losing thousands of dollars in revenue. When a competitor makes an update to their website, Kompyte sends you an automated alert in real-time. This gives you the power to respond immediately to avoid any negative ramifications. Are you running AdWords campaigns? How do you write your ad copy? 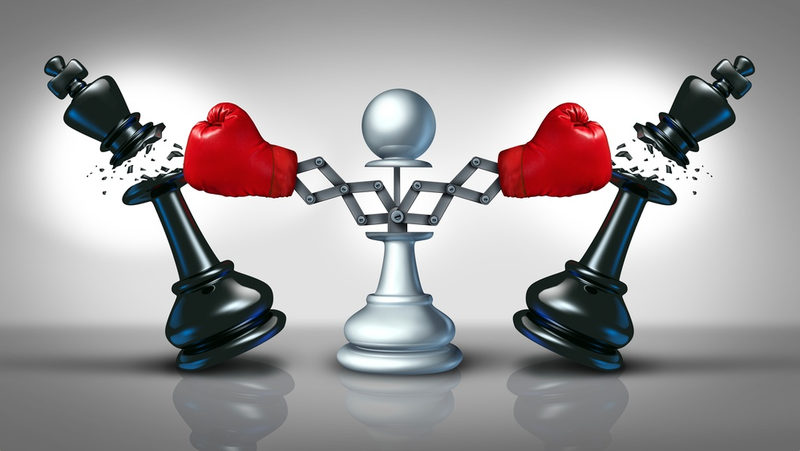 Are you A/B testing it for maximum conversions? I bet you are because it’s 2016 and you’re no dummy. But what if I told you that you’re still wasting your money? If you’re not tracking all of your competitors’ AdWords campaigns you’re leaving valuable intel (and money) on the table. Kompyte now tracks the HISTORY of your competitors AdWords campaign, meaning you can uncover their A/B testing results by seeing which ads are they are deciding to use most over time. 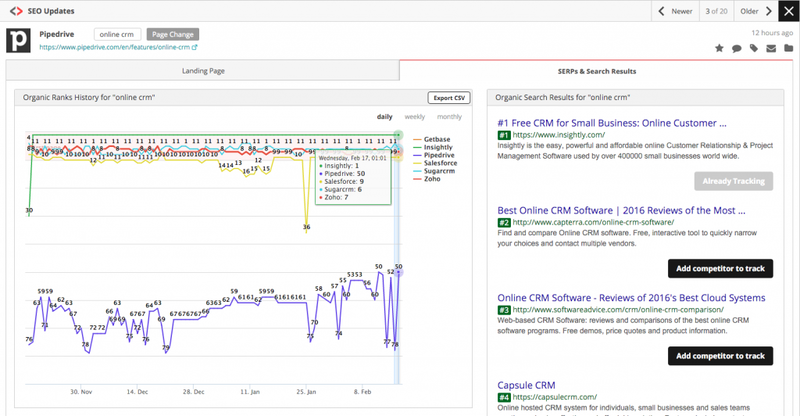 First, we show you how your competitors are performing in the SERPs over time. By tracking their movements up and down the search engine rankings, you’ll have a much better understanding of the keywords your target audience is using in search and also take advantage of SEO best practices in your industry. You won’t just know who’s on Google’s Page 1, you’ll know why. Second, you can’t be everywhere at once and you’re certainly not running random keyword searches daily looking for competitors. Luckily, that’s exactly what Kompyte is doing, 24/7/365. By constantly tracking Google’s SERPs for your target keywords, Kompyte can alert you in real-time to any new players in your space. You’ll never be caught off guard by a new competitor and you’ll know instantly if a viable alternative to your value proposition starts gathering steam. 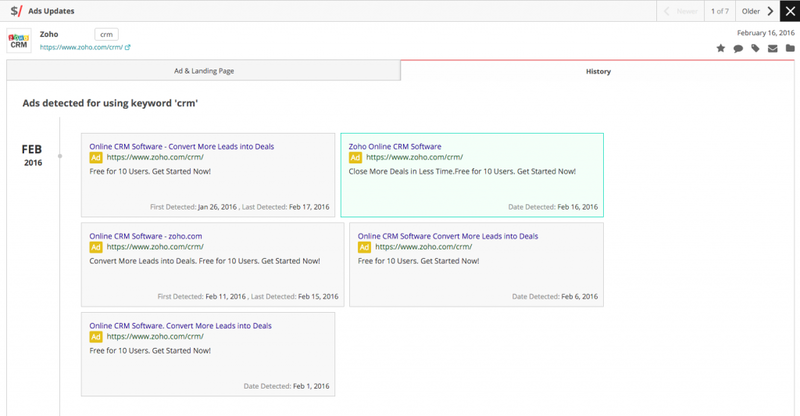 Organic keyword tracking provides SEO best practices and alerts you to new competitors in real-time. If you’re ready to put Kompyte to work for you and start stealing intel from your competitors’ marketing strategies, start your free trial today.